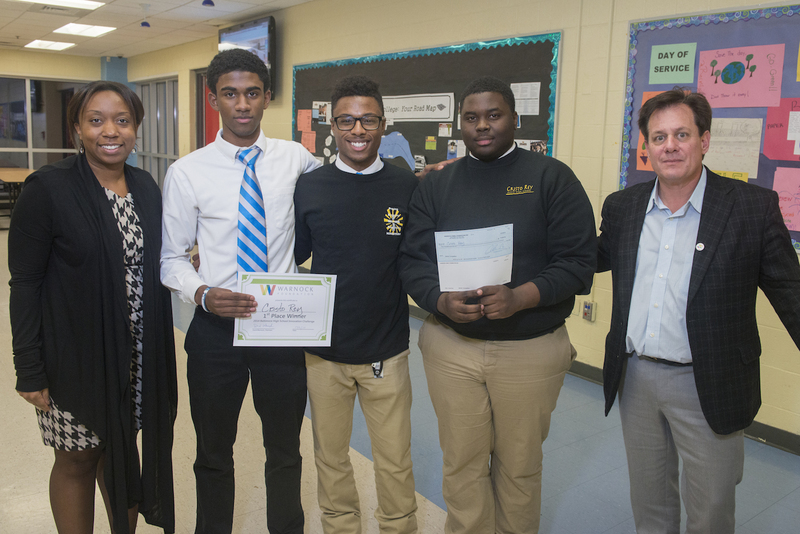 Today, the Warnock Foundation launched the Baltimore High School Innovation Challenge. The challenge asks high school students to innovate for Baltimore. Each Baltimore City Public Schools high school forms a team, comes up with an idea that will benefit its community, and submits that idea online. Semi-finalists will receive funding to create a pitch for their idea, and will compete in front of a panel of judges. The winning team will receive a $5,000 grant for their school, and their idea will be published in Volume 3 of the Warnock Foundation’s Baltimore Social Innovation Journal. To apply, or to learn more about the Baltimore High School Innovation Challenge, click here (http://baltimoreinnovation.org/highschool/). October 1: Submit your idea. October 15: Semi-finalists announced. Begin work on presentations! December 1: Winners chosen by a panel of judges.